Armchair with internal seat and backrest steel frame with poplar plywood armrests. Padding in CFC-free polyurethane foam and polyester wadding. 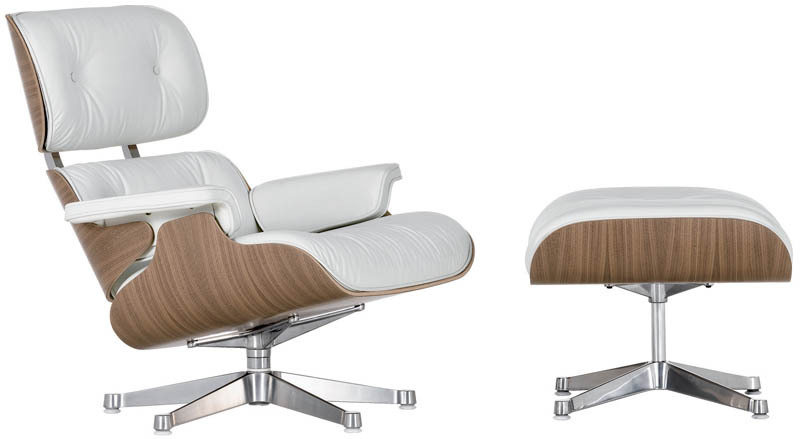 Seat, backrest and armrests in differentiated densities according to the support required by the pressure exerted by the body. Steel bases in three different colours/finishes: matte basalt finish, brass chrome and black chrome. 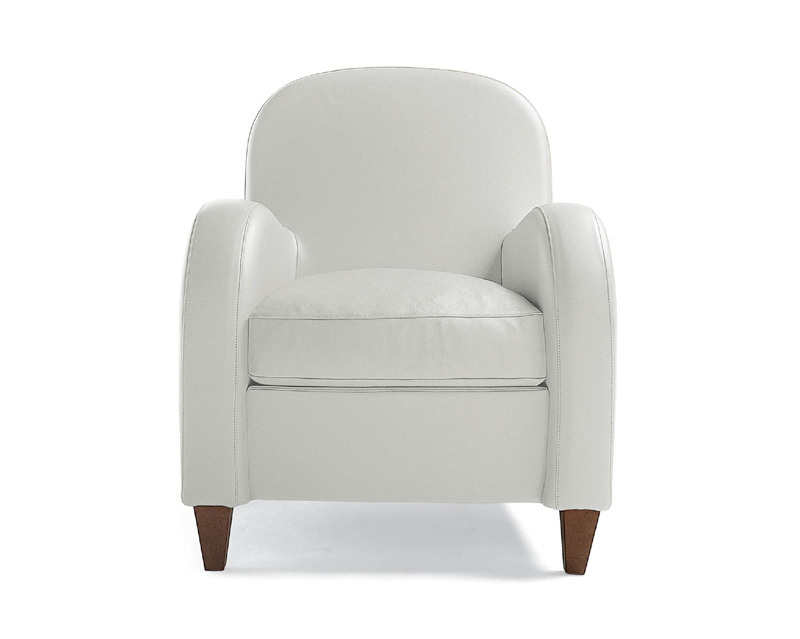 Non-removable fabric or leather upholstery. Black plastic feet. 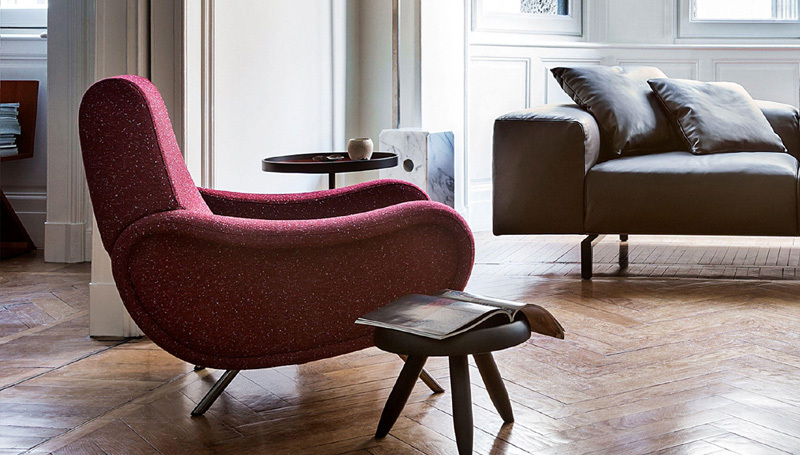 The armchair is also available in an iconic edition with checked black and white upholstery and matte basalt base. Presented at the 9th Triennale of Milan in 1951 – where it won the gold medal – this armchair is an icon of modernity. It was the product of a major technical/material innovation (rubber and springs with nastrocord, brought together) which, turning the traditional way of creating sofas and armchairs on its head, involved the separate manufacture of the parts and their subsequent assembly. 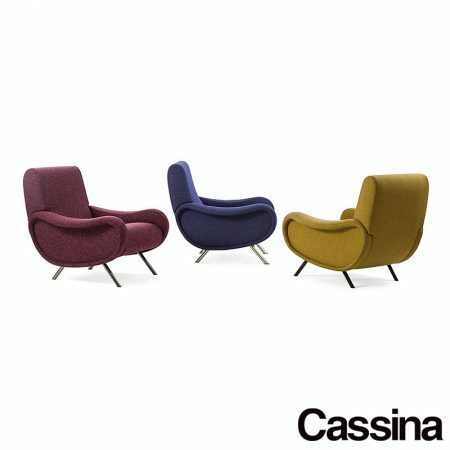 The armchair is now flanked by a two-seater sofa with the same production features as the armchair: seat, backrests and sides are manufactured separately with different padding densities depending on the support required by the pressure exerted by the body. 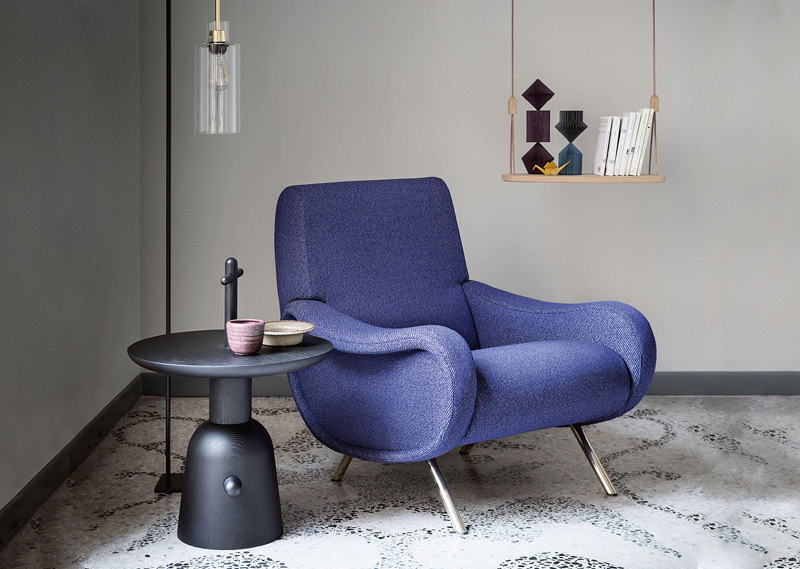 As for the armchair, a wide range of fabric upholsteries and an iconic edition with black and white check upholstery and feet painted in matt basalt are available.